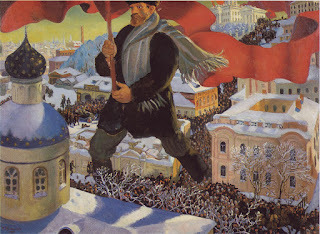 Or, the past **two** fortnights in the theoblogosphere! It has been four weeks since our last link post. But, as usual, we return from riding the range of the interwebs to bring you some of the best in thought-provoking reflection. Bender on Schleiermacher: Will Science Trump Creation Doctrine?What Am I Reading? George Hunsinger, “The Beatitudes”What Am I Reading? Wink's Naming the PowersWhy do christology? H. R. Mackintosh has 4 reasons (via Purves)Got General Revelation? Well, Isn't that Special!Francis Turretin’s Ecclesiology, 18.1: What comes first, church or doctrine? Bender on Schleiermacher: Will Science Trump Creation Doctrine? I recently was reading Kimlyn Bender's essay, "Christ, Creation and the Drama of Redemption: 'The Play's the Thing...'" when I came across a claim that grabbed my attention. Bender writes that Friedrich Schleiermacher told a friend not only that advances in modern natural science entail a reinterpretation of the Creator-creature relationship, but also that science might eventually render the Christian doctrine of creation moot altogether. Prescinding from this essay as a whole, with which I find much to agree, I hone in on this particular claim. I’ve been waiting for this book for over two years. I’ve had it pre-ordered on Amazon for over a year. I’m not sure why, but I decided to look it up last week to see if Amazon had a shipping estimate yet. When I did, I saw that there were two different listings for it. The one that I had pre-ordered was for a paperback, and its status remained unknown. But now there was another, a hardback, that – much to my chagrin! – was published back at the end of December! * Thanks to the wonders of Amazon Prime, I was able to get a copy in my hands expeditiously and I read it even more expeditiously. It was worth the wait! George Hunsinger, The Beatitudes (New York: Paulist Press, 2015). I've recently reread the provocative and fascinating opening volume of the the "Powers" trilogy by the late Walter Wink. The brevity of this book belies its erudition, its subtlety and its singular contribution -- to my mind, still not fully tapped -- toward a potential retrieval of the phenomenology of power pervading the New Testament. 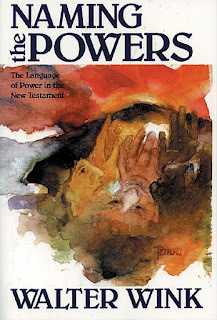 Walter Wink, Naming the Powers: The Language of Power in the New Testament (Fortress, 1984). One of the things that Purves highlights in his discussion of H. R. Mackintosh is the way that theology and piety are inextricably linked. Theology arises from a certain kind of experience, we might say. Or as Purves himself puts it, “faith is the fruitful soil of doctrine” (79). Theology, then, develops as the church’s attempt to describe the experience, or dynamics, or way of being in the world engendered by – faith. Some of this comes to expression when Purves discusses how Mackintosh answers the question of why christology – or, detailed reflection upon the person of Christ, i.e., who he is – developed in the early Christian centuries. So, without further ado, here are Mackintosh’s four reasons to do christology. Andrew Purves, Exploring Christology & Atonement: Conversations with John McLeod Campbell, H. R. Mackintosh, and T. F. Torrance (IVP Academic, 2015), 76. Well, it's the Easter season, and we've been on hiatus here at DET. My blog-typing fingers have atrophied a little. May I be permitted, then, to do a little preachin' to the choir? The topic of today: What of our seemingly inexorable quest for general revelation? Francis Turretin’s Ecclesiology, 18.1: What comes first, church or doctrine? First Question: The necessity of the discussion concerning the church, and whether the knowledge of the church ought to precede the knowledge of doctrine.